Wants & Desires | U.S. Army Field Parka | A Continuous Lean. Where would one ever realistically wear this coat? I’m sure there are some real world applications, but I would be content with simply owning it. Doesn’t really make much sense, but I like the concept and that’s all that matters. The coats pictured are from Japan (natch), but the Southern California based Vintage Trends has some good military deadstock should you want to take your coat ownership game to the next level. short of moving to Japan, my vote is for the M1943 Field Jacket, for warmth/style: in stock regardless of season on ebay. every damn day of my hoth level canadian capital regiion winter actually. (with liner and wireframe hood). Sure doesn’t look that nice and fresh though. 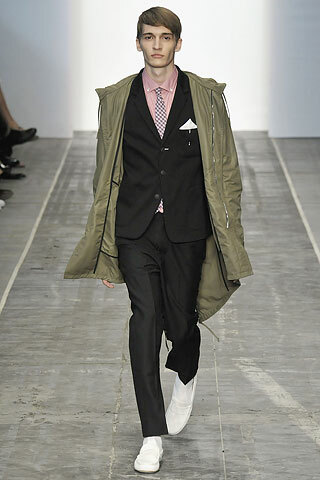 that exact parka is heavily associated with the 1960s Mod movement from england by the way. i have one and it’s awesome. don’t forget the matching pants. Vintage Trend! Yeah! Always get my mechanics pants from them for the summer. Rolled up with the wingtips or the chuck’s! as said above, thats mod rock! quadrophenia style, red slim suit with a field parka over it. fyi you can get us military m51 originals from Canal St Army Navy Surplus in nyc, the little vintage shop. But cut/size dictates price. a slim small with fur hood was $300. I got my barbour there for $150, so note the prices. Hey Andrew Where exactly is the surplus store located at on Canal, as you know so many stores rather jewelry, electronics or bootlegg stores, lol! Wow! I need something like this since I bike to work! 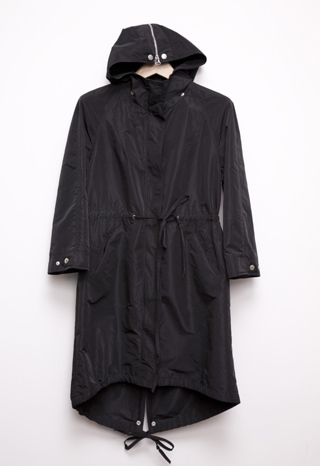 rag & bone makes a pretty nice parka too..
Here’s that Rag & Bone version.